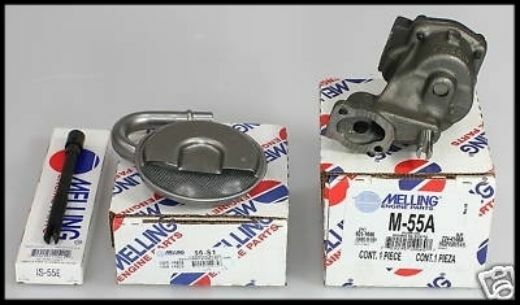 SBC CHEVY MELLING STD VOLUME/HIGH PRESSURE OIL PUMP KIT M55-A-K M55A-KIT 3pc. 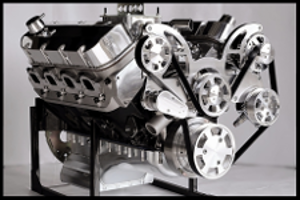 INCLUDED IN KIT: M-55A STANDARD VOLUME/HIGH PRESSURE OIL PUMP, OIL-SCREEN PICK-UP, OIL PUMP SHAFT. This model does have the heavy duty style neck.